Elegant and energy efficient, window shades provide great selection of fabrics, designs, patterns and shapes that help keep your rooms cool in summer and warm in winter. 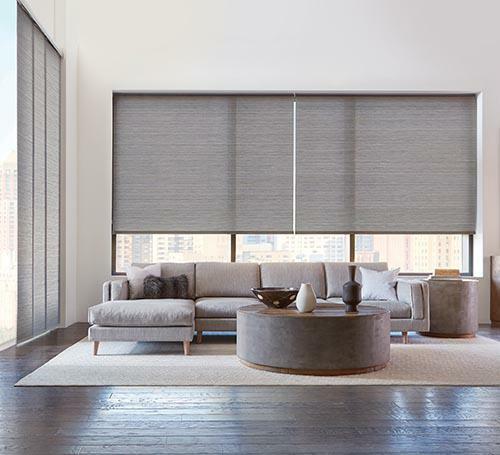 As manufacturers, Hunter Douglas, Shadeomatic, Graber and Maxxmar provide you with the best lift systems – cordless, motorized or traditional – and industry leading best design choices whether it’s for cellular, roller, solar, roman, sheer or pleated shades. 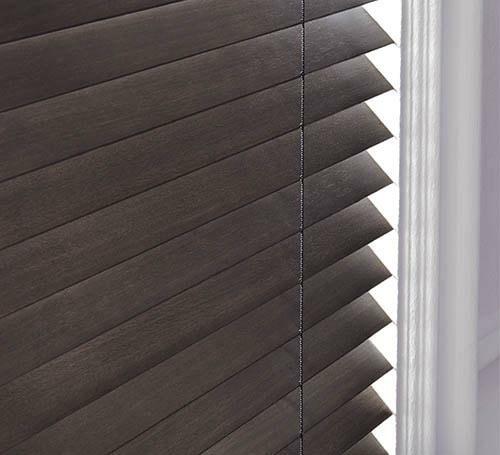 Stylish and functional, window blinds provide optimal light control and privacy for all kinds of rooms. 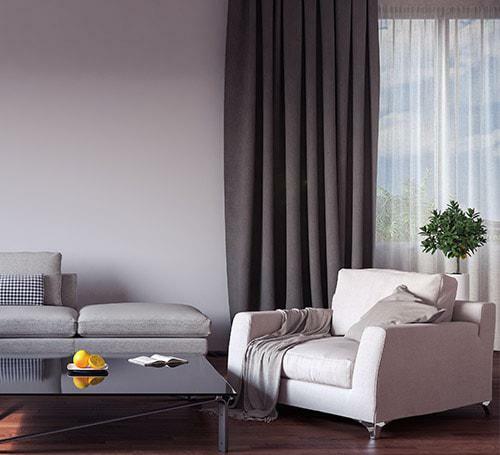 Whether you are looking for wood, faux wood, fabric, PVC, vertical or metal, we provide custom blinds for all budgets. They are available in cordless and traditional lift systems from the industry’s best manufacturers – Hunter Douglas, Shadeomatic, Graber and Maxxmar. 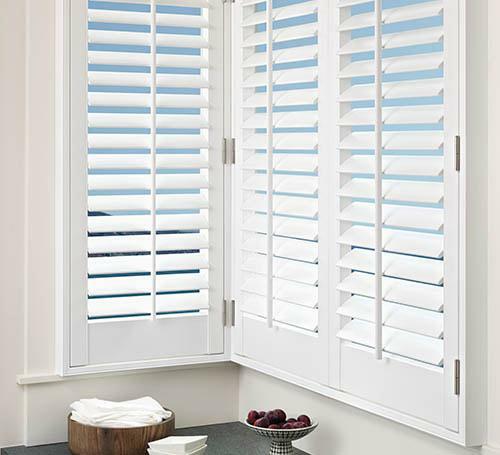 Classic and timeless, shutters provide light control, privacy and sun protection. Available in Wood Shutters, California Shutters, Plantation Shutters, Café Shutters and Composite, shutters can finish off a home with that aesthetic edge. Whether you are trying to achieve a formal or casual look, custom draperies can enhance your personal style. Available in varied fabrics, textures and patterns, custom draperies are so pleasing to the eye, they are the perfect finishing touch to your residential or commercial space.